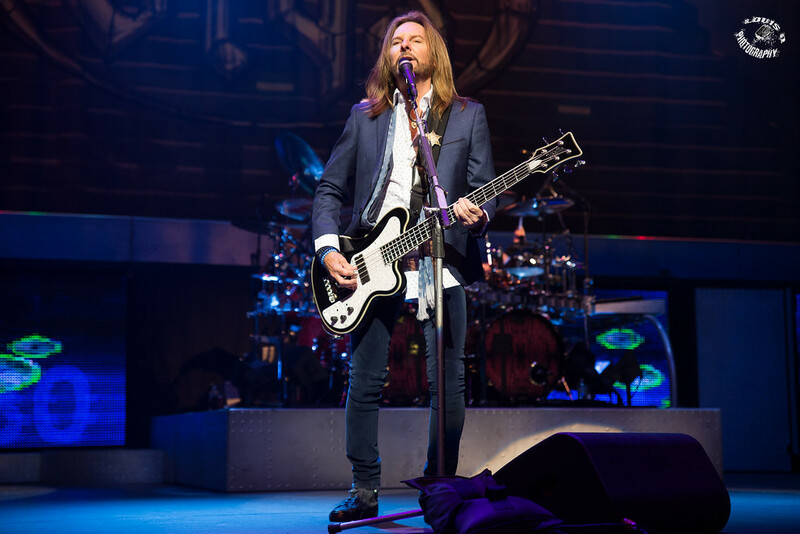 It wasn’t at the famed Chicago Paradise Theatre that the legendary classic-rock band Styx performed. This time it was the stunning and fairly modern American Music Theatre in Lancaster, Pennsylvania on a warm summer night, August 15, 2016. The 1600 seat American Music Theatre first opened its doors in 1997 and has been the host of a multitude of Grammy winners, Grand Ole Opry legends, National Broadway Tours as well as numerous top musical acts and performers over its two decade span. It may not have the history as the famed Chicago’s Paradise Theatre, however, but the classy modern AMT is surely a beautiful and relaxing place to catch a show with its wonderful mezzanine accessible by two grand staircases on each side of its spacious open lobby, a nice and unique gift shop, clean modern restrooms and two plentiful and delicious refreshment areas that are easily accessible from the main lobby directly outside the theatre doors. Seating is very comfortable and spacious with a good open view of the stage. There really isn’t a “bad seat” in the house. The AMT provides state of the art sound and lighting as well as top notch production, sound, lighting, crew, very friendly ushers and accommodating staff. 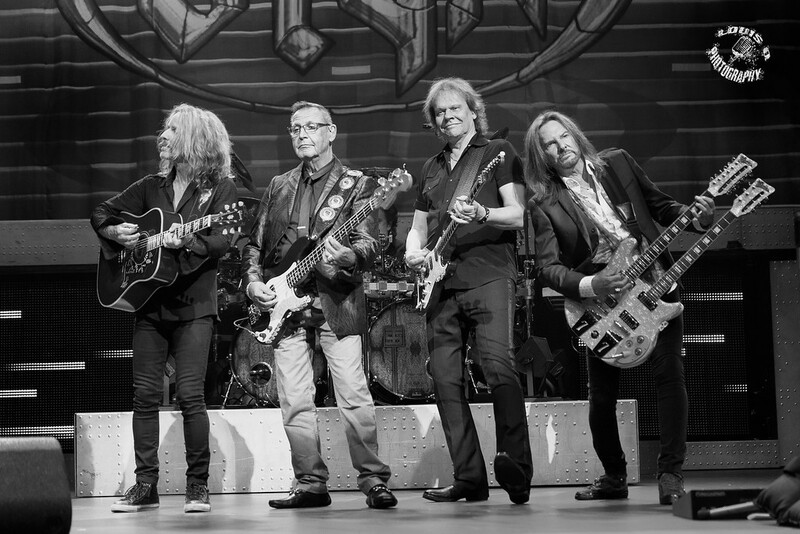 Styx, one of the world’s best selling bands of all time, formed in Chicago in 1972 by twin brothers Chuck and John Panozzo and Dennis DeYoung along with Guitarist James Young. 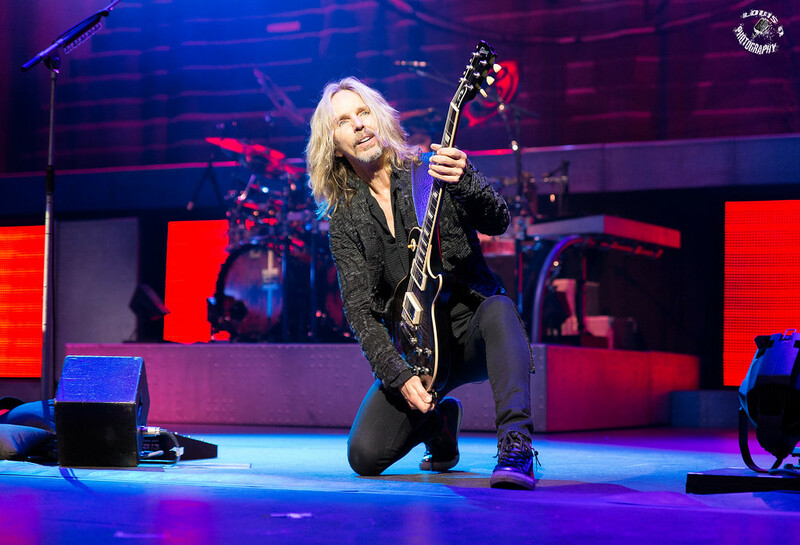 Tommy Shaw would join the band in 1975. 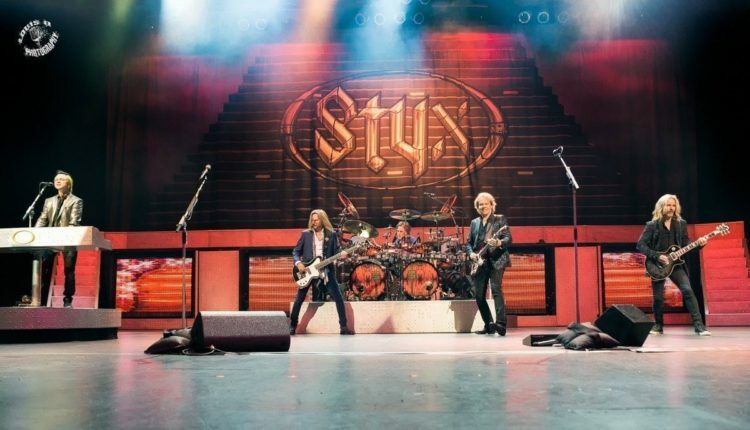 Styx signed with A&M Records and released Equinox in 1975 as well which gained the band considerable recognition and airplay on FM radio in the relatively new Album Oriented Rock (AOR) format. The band’s 1976 album, Crystal Ball, would be the first to feature Shaw. The bands real breakthrough triple platinum smash album The Grand Illusion was released on July 7, 1977 and featured the mega-hits “Come Sail Away,” “The Grand Illusion” and “Fooling Yourself (The Angry Young Man)”. 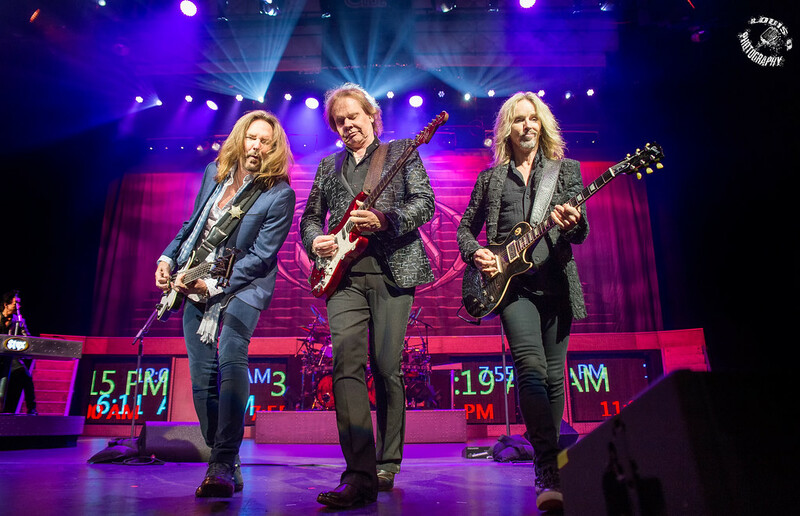 Styx would go on making huge albums and selling out arenas and stadiums throughout the late 1970’s and 1980’s with albums Pieces of Eight, Cornerstone, Paradise Theatre and 1983’s Killroy Was Here. 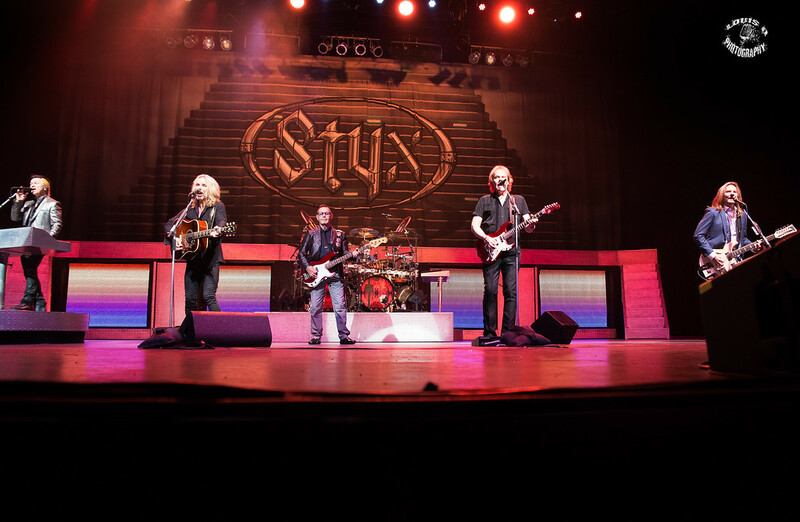 At just a little after 7:30 p.m. in the sold out 1600+ seat AMT, the house lights went down and Styx drummer Todd Sucherman could be seen settling in behind his kit while waving to the crowd. 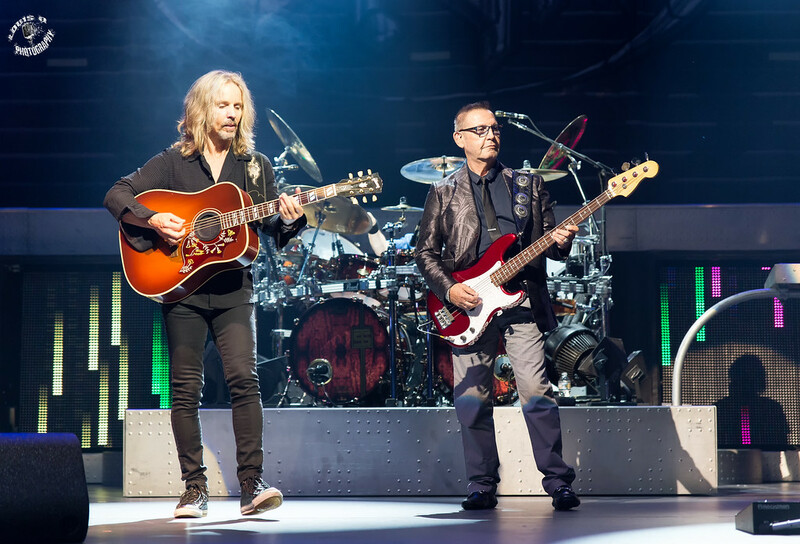 As the intro music intensified, the other members of Styx walked out a stage door just to the right of the drum riser waving and moving into position. 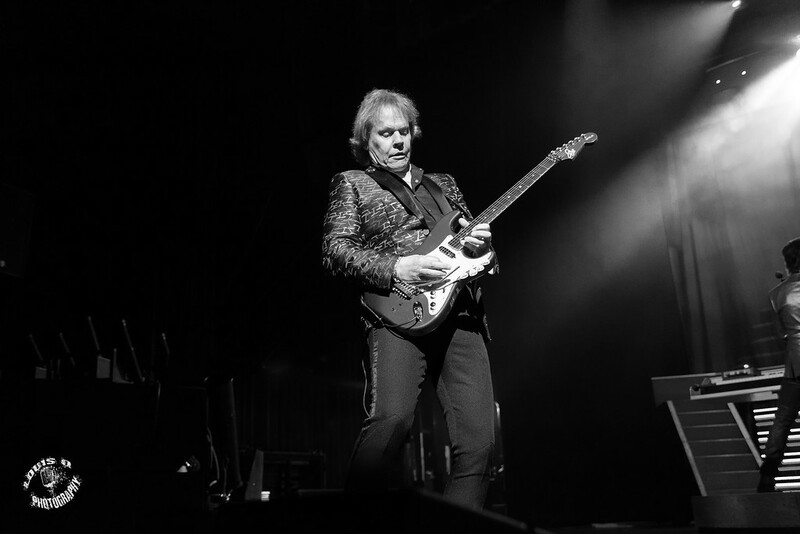 As the intro reached its crescendo the band, guitarist/singer Tommy Shaw, founding guitarist James Young, keyboardist/singer Lawrence Gowan, drummer Todd Sucherman and bassist Ricky Philips established their musical diversity and ageless sound right away opening with “The Grand Illusion” followed by the timeless 1981 hit “Too Much Time on My Hands” and another from the 1977 Grand Illusion album, “Fooling Yourself (The Angry Young Man)” which featured original founding bassist Chuck Ponazzo joining the band on stage. The band was musically superb. Without a doubt the performance was outstanding as the band was as tight as could be, delivering a loud but clean sound with the amazing vocal harmonies the band is known for, dazzling guitar tones blended well with the mix of electric and acoustic six and twelve stringers along with the synth and piano from Gowan, who replaced founding keyboardist/singer Dennis DeYoung in 1999. 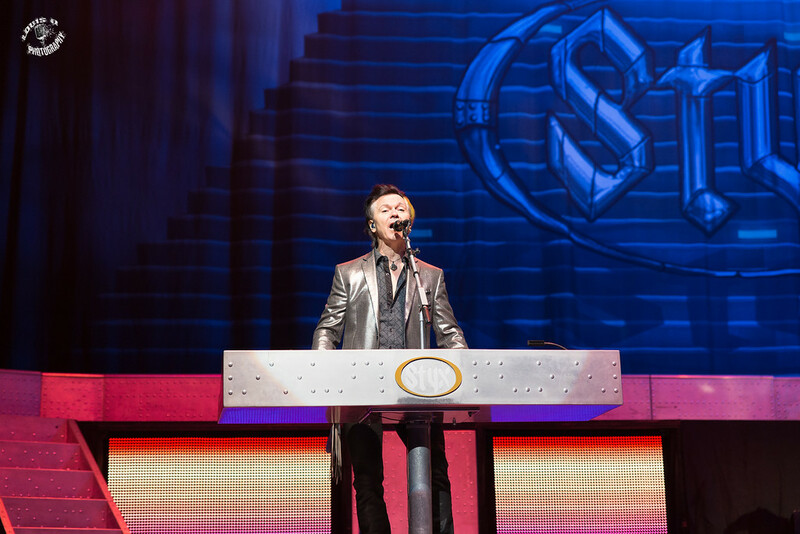 Shaw however soaks up the majority of the spotlight while sharing frontman duties with Gowan as he took lead on at least half of the 18 song set as well as explained a little history of the band including Styx being one of the founders of “Album Rock” and “Story Telling” through LP’s. He commented that the goal in the late seventies for bands was the idea of Album Oriented Rock and that “If you made it through side A of the album and flipped over to side B, the more experimental and personal songwriting and sounds tended to find its way to the B sides”. 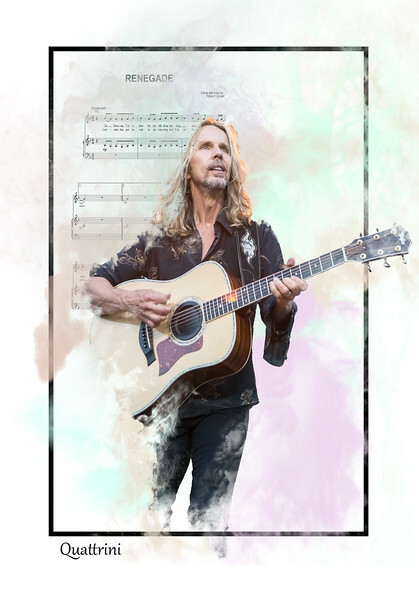 Shaw introduced the next song as the second song from side two of the Grand Illusion album, “Man in the Wilderness,” as he strummed his beautifully crafted Gibson acoustic guitar. 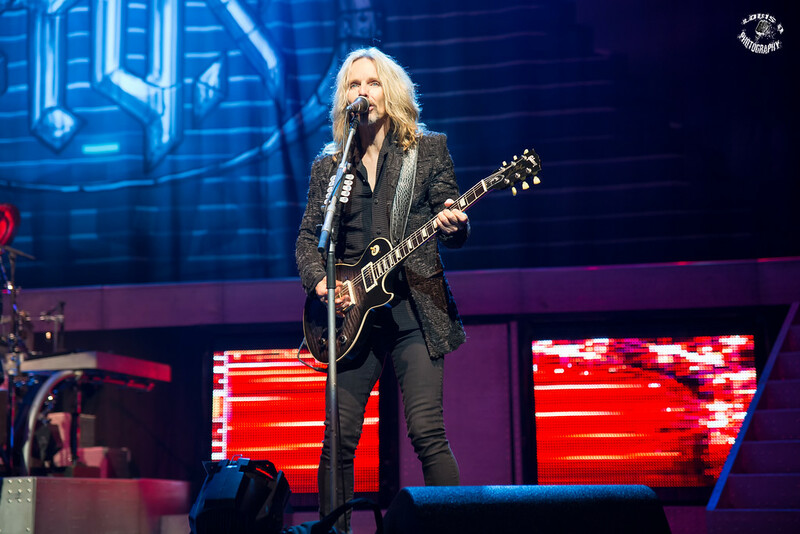 Styx continued throughout the night with Young engaging with the crowd as well as he took lead on several numbers and introduced the next song, “Light Up,” from the 1975 Equinox album. He talked about the days when President Ford was still in office, before the cell phone era, when the band would engage in “not so healthy choices,” and when the crowd forty years ago would hold up actual lighters and a “so called aroma would permeate the air.” He urged the modern concert goers to instead hold up and light their cell phones as the band broke into the song sung by Gowan. 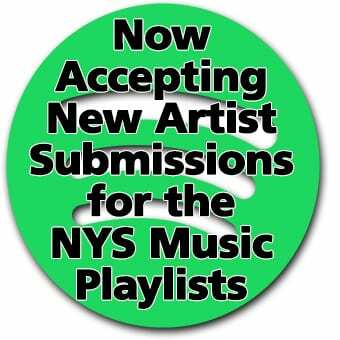 Young then took lead on the 1977 song, again from the Grand Illusion album, “Miss America” and later on the 1981 song “Snowblind” from the Paradise Theatre album making reference to how hot it has been recently and for the audience to relax and cool down a bit for this song. Shaw and Gowan performed a mesmerizing tribute to David Bowie with their rendition of “Space Oddity” featuring bewitching harmonies with only Shaw’s acoustic guitar and Gowin’s piano accompanying their vocals. A few other surprises were covers by The Beatles with “I am the Walrus,” Elton John’s “Rocket Man,” and Prince’s “1999,” as well as a rendition of Otis Redding’s “(Sittin’ On) The Dock of the Bay” all performed solo by Gowan while the rest of the band stepped offstage for a bit. It seemed the hits kept coming one after another. With close to 45 years as a band and over 15 studio albums with four consecutive albums being certified as Multi-Platinum from 1977-1981, the set-list could continue for hours. 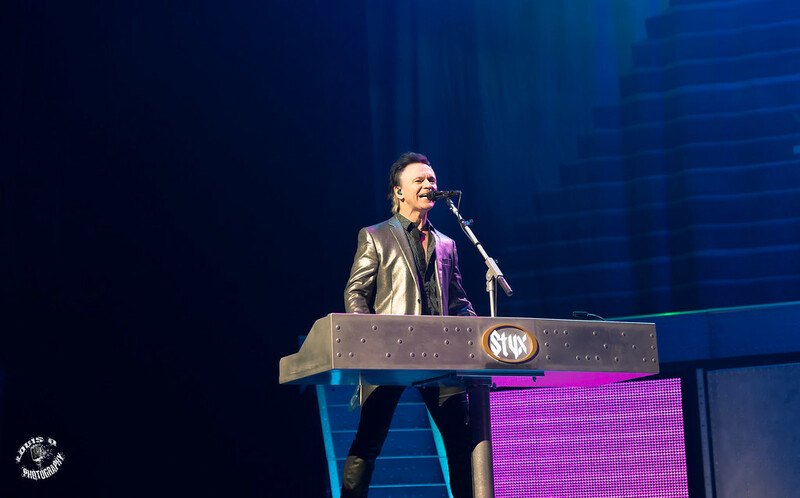 Styx’s AMT set included thirteen of their well known hits as well as five covers. 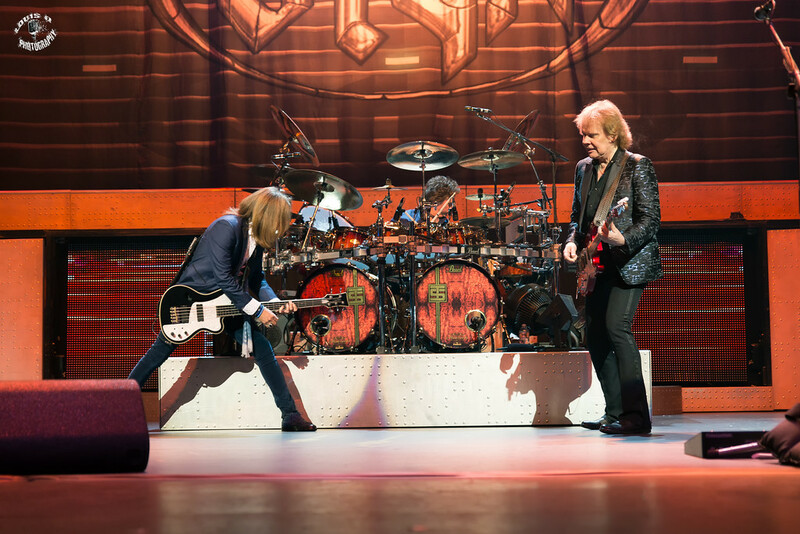 The band tends to avoid adding some Dennis DeYoung songs to their set-list including “Babe,” “Mr. Roboto,” and “The Best of Times.” Needless to say, the set, the songs, the musicianship, the showmanship, the enthusiasm and energy all made for an amazing show in a very classy and comfortable venue. 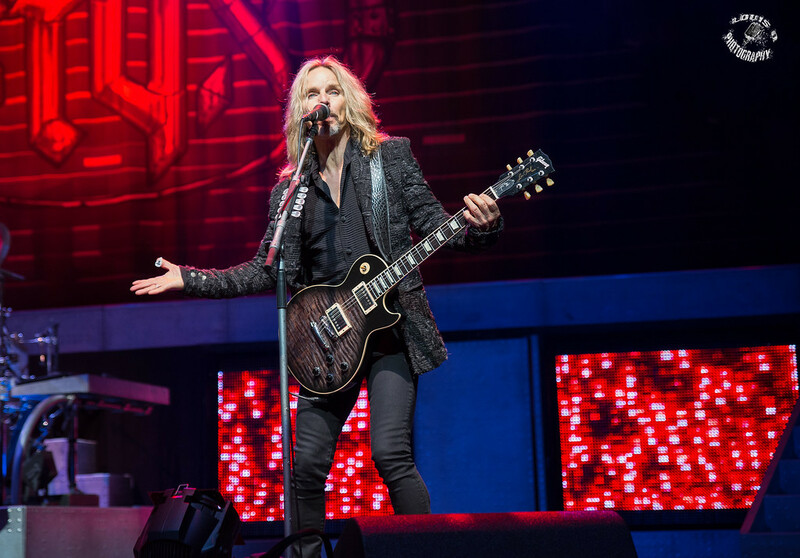 Styx had the audience highly entertained and engaged throughout the night in between their powerful guitar heavy rock songs such as”The Grand Illusion,” “Too Much time on my Hands,” and “Miss America,” and their more laid back hits such as “Man in the Wilderness,” “Crystal Ball,” and “Lights.” As the show progressed, Shaw urged the crowd to move up to the front of the stage and move around. And again, as expected, the crowd was enthralled in the moment, with much of the audience choosing to sit and watch the show from their relaxing theatre seats many of the other fans moved right up to the front of the stage waving and extending their arms in the air hoping to slap hands or catch a guitar pick from one of the band members. 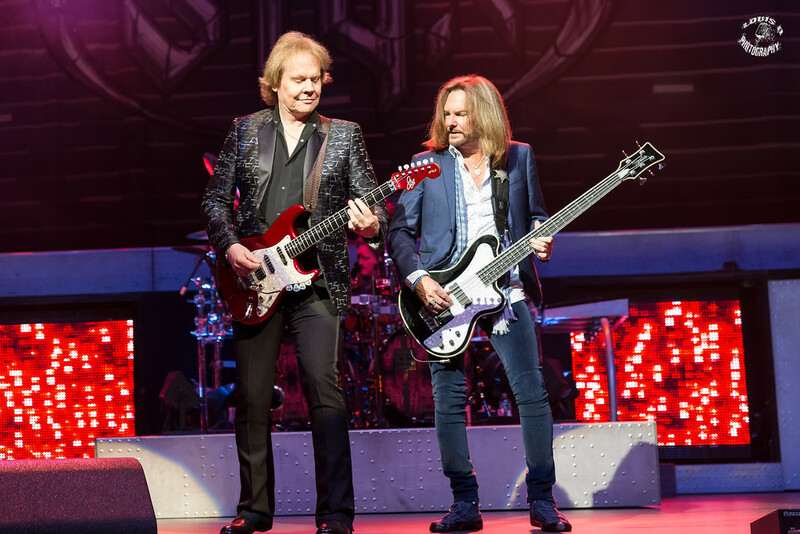 Styx continues their summer 2016 tour throughout the months of August, September, October and November. 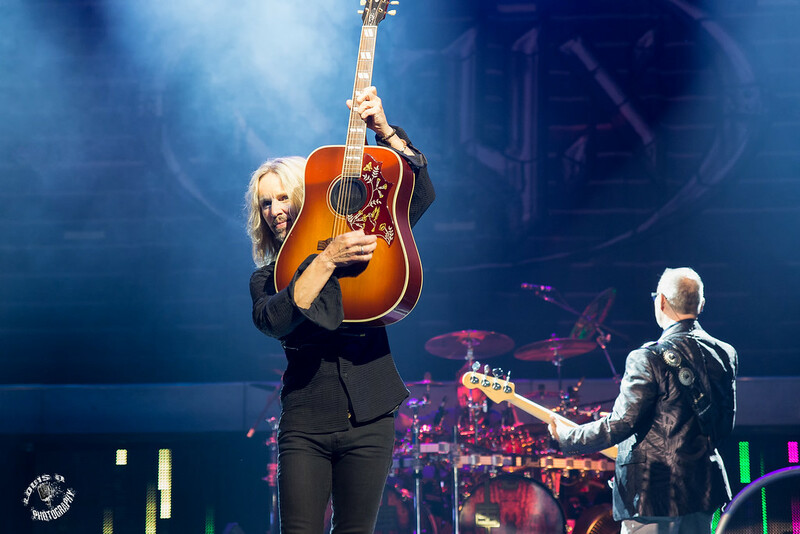 Whether you’re an old fan or a newcomer to Styx, the band is timeless and the band features amazing musicians that perform all the Styx hits with flawless sound, energy and passion. Check out their upcoming tour dates, news and more at their website below.